For those of you who are not well versed with your serial killers, here is what the painting represents: On the left you have David Berkowitz, the son of Sam. In the middle is John Wayne Gacy. On the right is Charles Manson. 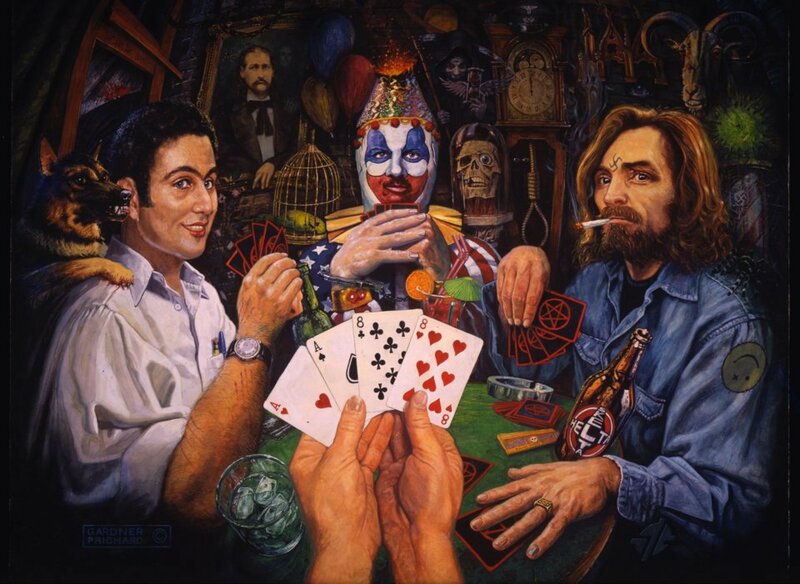 The hands in the foreground are holding "Aces and Eights" which is the hand the Wild Bill Hickok was holding when he was shot in the back, Hickok is seen in the painting hanging between Berkowitz and Gacy. There is plenty more going on in the background, but that's for you to work out.